Equatorial Guinea's main opposition party "must be dissolved", the attorney general has said during the trial of 147 of its activists who are accused of "rebellion". "The Citizens for Innovation (CI) party should be dissolved, there is violence wherever it holds meetings," said David Nguema Obiang during the trial in Mongomo, excerpts of which were broadcast on state television Friday. "It doesn't even resemble a political party... It's like a paramilitary group." The mass trial, which began on February 12, involves CI activists and senior officials who were arrested following elections in November. The defendants are being tried on charges of rebellion, attacks against authority, public disorder and serious injury and damage, according to their defence. At the start of the trial, the public prosecutor sought the death penalty for all of them, but on Thursday said "all those who have nothing to do with the events... should be released." "The verdict is expected on Monday," said one of their attorneys, Fabian Nsue Nguema. 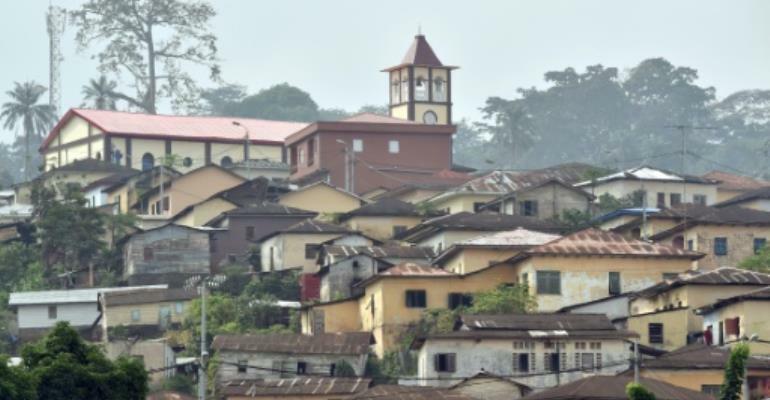 They are being tried at the High Court in Mongomo on mainland Equatorial Guinea, in the hometown of President Teodoro Obiang Nguema, who seized power in the oil-rich former Spanish colony in 1979. He has been repeatedly accused of brutally repressing his opponents as well as electoral fraud and corruption. The ruling Democratic Party of Equatorial Guinea maintained its grip on power during the November 12 vote, winning 99 of the parliament's 100 seats, while CI won the other. The vote was widely criticised by the opposition as fraudulent. The trial is linked to scuffles which occurred a week before the vote when police tried to stop a campaign rally in Aconibe, the hometown of CI's leader, in which three police were hurt and their weapons -- three AK-47 assault rifles and a pistol -- were seized. Speaking to AFP, a regional diplomatic source said that "90 percent of the defendants were not even present" at the time. Those on trial include individuals who had been arrested in Malabo, the capital, and in the port city of Bata, the source said. Last month, the CI said one of its activists had died in custody after being tortured, saying he was one of about 200 supporters who had been arrested since November. Although the activist's death was confirmed in an interview with Obiang, who is Africa's longest-serving president, he denied claims of "mistreatment" and said it was due to ill health. Earlier this month, the EU denounced a "sharp decline" in human rights following the election and urged legal process to be fair and in line with international norms. In the mid-1990s, Equatorial Guinea became one of sub-Saharan Africa's biggest oil producers. But little of the wealth has trickled down -- about two-thirds of its 1.2 million people live below the poverty line.